The Adtron 125F Flashpak disk. ADTRON, represented by Dedicated Systems Australia , recently announced the availability of the I25F Flashpak flash disk specifically targeted for new industrial applications. As the latest member of the Adtron Flashpak family, the I25F delivers the same high reliability, durability and long-life characteristics that customers expect from Adtron solid state disks. The I25F introduces solid state flash disk technology to markets that previously could not justify the investment relative to the performance of other commercially available products. 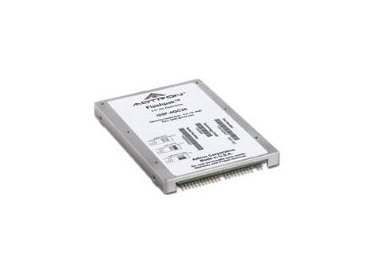 Like all Adtron Flashpak solid state flash disks, the I25F is based on single-level cell (SLC) NAND flash, the most reliable media choice for industrial markets and is subject to the same rigorous Adtron quality testing. * Based on Adtron SmartStorage framework.